The New York State PowerPoint Map Template is an editable layout for geographic presentation concepts. 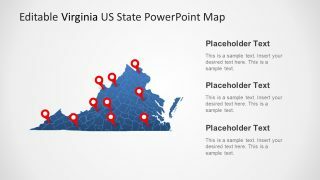 The template offers 7 slides of creative map layouts containing editable segments of each county. 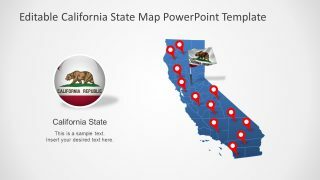 These maps also include graphics like location pin markers and flag badge for a visual representation of geographic concepts. For example, highlighting business opportunities, target consumer market, tourist spots, and more. 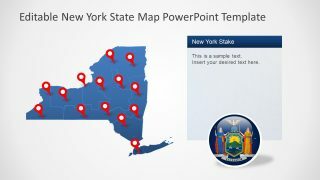 The PowerPoint presentation of New York map will assist users with effective delivery of various topics. 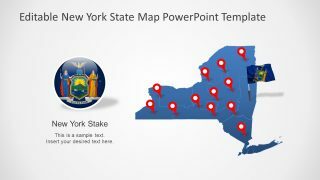 Therefore, this New York PowerPoint map demonstrates outline county sections for labeling capital cities and major cities. 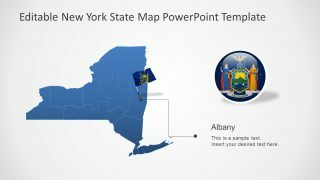 The New York State PowerPoint Map Template displays two flag shapes i.e. circular badge and flag on pole. 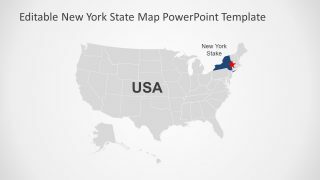 The flag on pole, however, is useful and creative location pin style. 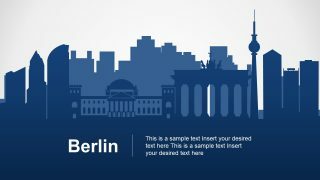 Similarly, it provides two content layouts with text placeholders to insert textual details. 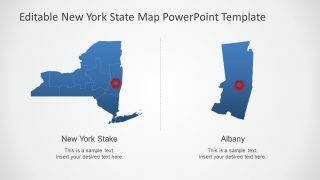 The PowerPoint template of New York map contains silhouette maps of gray and blue colors. But users can change these colors with the help of solid-fill and outline-fill options. 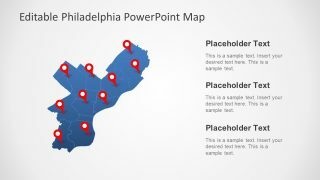 In this way, users can create a colorful slide of counties represented by separate colors. 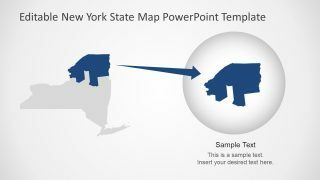 It further includes the silhouette map of USA highlighting NY State as a part of whole. 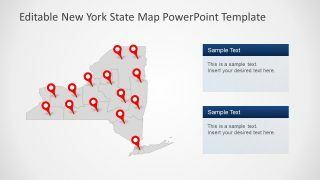 The PowerPoint New York map enables users to resize county segments according to presentation requirements.